Maria Hawkins Cole, widow of the great Nat King Cole, has passed away after a battle with cancer. 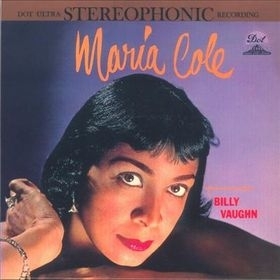 A singer for Duke Ellington and Count Basie, she met and married Nat King Cole. Together they had Natalie, Timolin, and Casey Cole. Natalie continued in her parents footsteps and became and R&B performer. In 1965 when her husband, the great Nat ‘King’ Cole, passed away, she created the Cole Cancer Foundation in his honor.